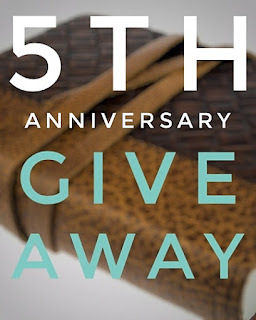 Giveaway #4 has ended, which unfortunately means we're nearing the end of our huge 5th Anniversary celebrations [sigh!]. Once again, thanks to everyone who participated, and big thanks to the kind folks over at Scrittura Elegante, who sponsored this giveaway. Now for the best part: the announcement of the winner of the handmade leather journal and glass dip pen writing set! Thanks again for all the support, and thanks for entering the giveaway! Didn't win this time, or missed out? Don't worry, there's one more awesome 5th Anniversary giveaway planned to hit the site in the next coupledays, so keep your eyes peeled! Always stay up-to-date on current giveaways by following The Pencilcase Blog on INSTAGRAM, TWITTER, GOOGLE+, or subscribe to the NEWSLETTER!